When you think of Texas, some of its larger cities, such as Houston and Dallas, probably come to mind. However, you should not underestimate the charm of some of the state’s smaller cities such as Fort Worth. 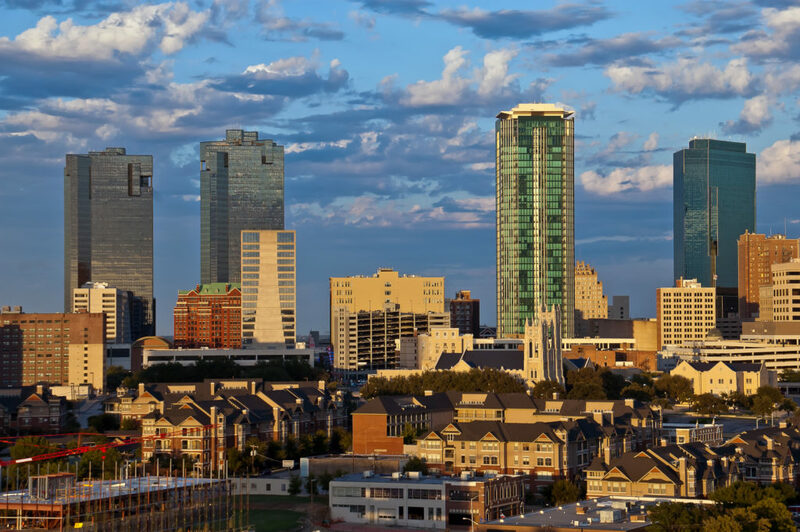 Forth Worth is a great city to move to if you like the idea of affordable housing, an abundance of employment opportunities, and a relaxed vibe. This city, located in the North Central part of Texas, offers many dining, restaurant, and shopping options. If you enjoy getting out into nature, Fort Worth has over thirty miles of trails for hiking and running. The city is also conveniently located, with Dallas being just over thirty minutes away by car. If you need to get outside of the state, you can easily catch a flight at the Dallas/Fort Worth International Airport. If you are planning a move or a vacation to this beautiful city, then National Dispatch can help by offering hassle-free car shipping services. We aid in providing car shipping services to make your transition to your home much easier. You won’t have to bother with traveling hours in the car. This makes the entire moving process faster, easier, and stress-free. Along with your home, your vehicle is one of the most important possessions you own. Therefore, it can be difficult to hand over your car keys to a stranger. The choice to ship your car is a big decision to make. Here are a few reasons why you should ship your car. This might help make your decision easier. Reduce Stress. Driving your car to your new home car can be stressful, because it requires both time and energy. The better option is to hire a professional car shipping company to transport your vehicle. Save Time. One down-side to driving a car long-distance is the amount of time that is required. If you choose to drive across country, you may be forced to take days off work or use up some valuable vacation days. Ship your car, and fly to your destination, instead. Focus On Other Tasks. When you choose car shipping services, you free up time on your schedule. You no longer have to worry with spending hours on the road. Now you can get to your destination sooner and enjoy time with family. Reduce Risks. Driving presents many dangers. Not only do you run the risk of getting into an accident, but your car faces many hazards, as well. Driving long distances can wear down a vehicle and add mileage. This can contribute to depreciation. Auto transporters use specialized carriers and equipment to ensure that your car arrives in the same condition you left it in. To learn more, read 9 Reasons To Ship A Car. Fort Worth may not be the largest city in Texas, but there is a list of wonderful reasons why you should call the area your home. Here are a few things that you might want to know before moving to the city. One of the primary reasons why people are moving to the area is because of the low cost of living. Compared to Dallas, the cost of housing is less expensive. That is not the only expense that is lower. You will also find that restaurants, childcare, and groceries cost less. If you are coming to the city looking for new employment opportunities, don’t be worried. You have plenty of options available to you in a wide range of industries, including healthcare, education, aerospace, government, and more. Fort Worth is known as being one of the best cities to find a job in the nation. Some of the city’s top employers include American Airlines, Texas Health Resources, Lockheed Martin Aeronautics Company, and University of Texas-Arlington. Some cities in Texas, such as Dallas, Austin, and Houston, have been on lists for the worst traffic in the United States. While Fort Worth may have some congestion and traffic problems, it does not compare to the traffic seen in Dallas or other parts of the state. You can always find something to keep you entertained in the city or the surrounding area. Here are a few of the most popular attractions. Cowtown Coliseum – You’re in Cattle Country. What would a trip to Texas be without a visit to the rodeo? This coliseum hosts rodeos, sporting events, and other fun attractions. Fort Worth Zoo – This zoo is home to over 7,000 animals from a variety of species. There are lots of exhibits from birds to mammals to reptiles. The zoo even welcomed two new babies, a baby elephant in 2013 and a baby gorilla in 2015. Fort Worth Water Gardens – If you are looking for a place of peace and relaxation, then the water gardens are for you. It features numerous pools, fountains, and waterfalls. Texas Cowboy Hall of Fame – Are you looking for a bit of western heritage? This museum showcases the history of the men and women who lived that western lifestyle. National Dispatch is a top provider of auto transport services in the car moving industry. We make it our top priority to get our customer’s cars to their destination in the safest and fastest manner possible. Our friendly and knowledgeable staff ensures that you stay well-informed from start to finish. At National Dispatch, you can expect to receive top-notch customer service, along with competitive car transport rates. We ship cars, trucks, vans, SUVs, and even motorcycles for both individuals and businesses. We can even ship your non-running car to its destination. If you are in need of car shipping services, we encourage you to go online or call us at 800-321-2051 for a free, instant car shipping quote. Our online car shipping quote is unique, because it does not require any personal information. Only four fields of information is required: vehicle make, vehicle model, pickup location, and delivery location.